There are 10 Medicare Supplement plans in Indiana available today, but not all insurance companies carry all plans. A letter, A-N identifies each Medigap plan. The services offered are standardized by the federal government. This means that Plan N has the same benefits regardless of your location or your choice of insurance carriers. Once you decide which Medicare Supplement plan best meets your healthcare needs, you can select a carrier without worrying about differences in coverage. More than 20 percent of Medicare recipients have a Medicare Supplement plan. The average age of retirement in Indiana is 63, and the average age of Indiana Medicare beneficiaries is 71. As long as you are entitled to Medicare Part A and have signed up for Medicare Part B, you can apply for Medicare Supplement plan at any time. The catch is that insurance companies aren’t required to offer you a Medigap plan and may base your premium on your medical history if you apply outside of select periods of time. If you want to secure the lowest rate possible, it’s important to time your application wisely. Are not able to consider your medical history or pre-existing conditions when determining your premium rate. They can never cancel your Medicare Supplement plan as long as you pay your premium on time each month and follow all rules in your contract. Once one of these events occurs, you will have just 63 days to utilize your guaranteed right to enroll in a Medicare Supplement plan. When applying for a Medicare Supplement plan outside of these guaranteed-enrollment periods, you will mostly be subject to health questions and underwriting. You still should never assume that you won’t be accepted or that your rate will surpass your budget. It’s always worth taking the time to speak to a license Medicare Specialist. How Are Rates Calculated for Medicare Supplement Plans in Indiana? All participants in a plan receive the same rate regardless of age. Other factors are sometimes used to determine rates for groups of people. Your age at the time that you apply for your policy will always dictate your price. Annual changes in your premium occur due to on inflation and other factors, but changes in your age will not trigger changes in your rate. Your rate is always determined by your current age. You can expect some annual changes in rates as you enter higher age brackets. The Indiana Department of Insurance must approve premium rates for all Medicare Supplement plans. Each insurance carrier offering Medigap plans can select which method they want to use, so you have to think about future changes in your rate rather than just picking the most affordable rate offered today. Which Medicare Supplement Plans in Indiana to Compare? Each Medicare Supplement plan offers different benefits, so it’s essential to select the one with an outline of coverage that fits your personal healthcare needs. One of the most significant differences in the plan structures is that some plans will cover your Medicare Part B deductible and/or your Part B excess charges while others offer more limited coverage. The best Medigap plan is the one that fits your needs. 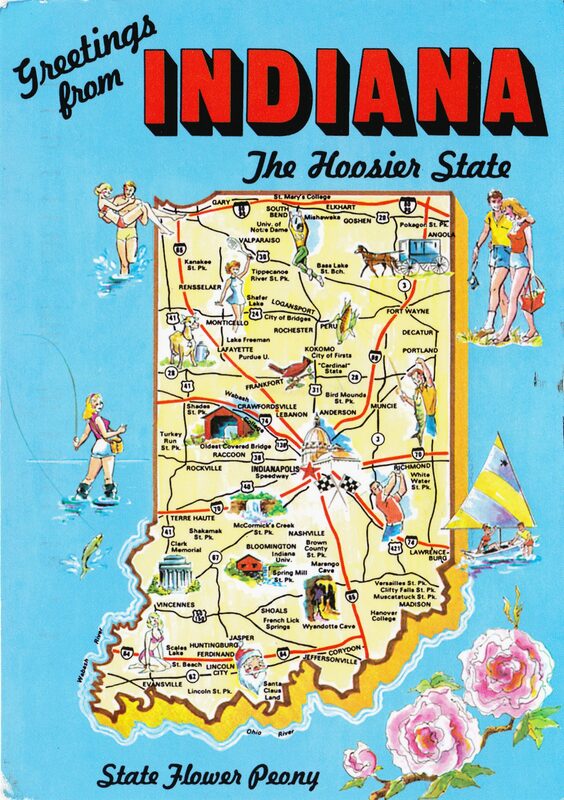 The three most popular are Plan F, Plan N or Plan G.
Can I Use My Indiana Medicare Supplement Plan In Other States? As long as you aren’t enrolled in a SELECT plan, your Medicare Supplement plan in Indiana will allow you to seek medical care in any state. Since Indiana is ranked among the worst healthcare systems in the country, this frees you to seek higher-quality care in neighboring states. If there are few or no specialists capable of treating your medical condition, then you may seek care with a qualified specialist accepting Medicare in anywhere in the United States. Medicare Supplement plans allow you to travel throughout the country without worrying that you will face an enormous medical bill if you need care while away from home. Some Medigap plans will also cover emergency medical services received outside of the U.S. If you travel abroad regularly or look forward to doing so after retirement, you may want to select a Medicare Supplement plan in Indiana that offers this coverage. Since there are no networks that restrict the doctors that you may see, you can move anywhere in the country and maintain the same Medicare Supplement plan. Since your zip code is one of the primary factors that determine your rate, you may notice a change in your premium after moving. How Do I Apply For a Medicare Supplement Plan in Indiana? Comparing Medicare Supplement plans can be confusing, but you’re never alone when making these critical decisions. Use our online resources, or feel free to call our Medicare Specialists if you have questions or need further assistance. We can even walk you through the process of applying for your Medicare Supplement plan in Indiana right over the phone.